Beyoncé has released the official trailer for her upcoming DVD from her four nights at the Roseland Ballroom in NYC this summer. 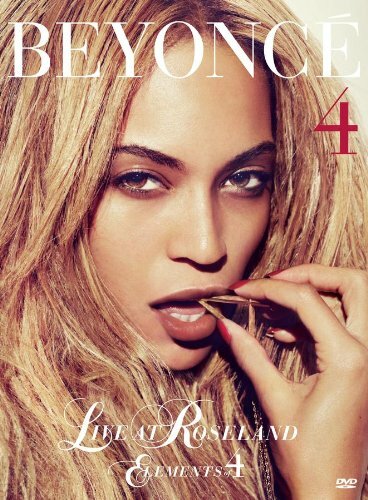 Live at Roseland: Elements of 4 will feature Bey's performances of songs from her album 4, as well as performances of past hits like "Crazy in Love", "Get Me Bodied," and more. The package has a two-disc DVD with the entire concert, bonus offstage footage, a 20-page booklet and a video anthology that includes seven videos from 4, including "Run The World" and "Party." Fans will also get to see never-before-seen footage from Beyoncé's childhood, and see her transformation from dreamer to global superstar! Check out the trailer for the DVD after the jump! This DVD is going to KILL! I'm glad that Bey gave the fans a little something since we all know she won't be going on tour anytime soon. The DVD is already up for pre-order on Amazon for $14.99 (the list price is originally $21.98), and will be available November 29! I'm definitely getting my copy! How about yall?